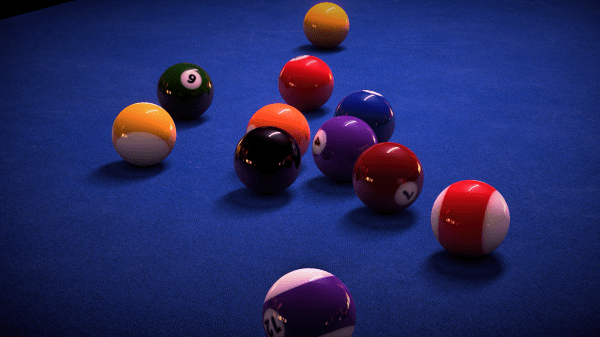 VooFoo Studios recently announced that their new title, Pure Pool would be coming to Xbox One. As big pool fans, we had to jump at the chance to grab a quick Q&A interview with them and the games Creative Producer, Shaun Read duly obliged. Please introduce yourself. What is your role at VooFoo Studios and on Pure Pool? Hi. My name is Shaun Read and I’m the Creative Producer here at VooFoo. With us being such a small unit at VooFoo our job roles tend to blur at the edges, but I guess you could say I was lead designer on Pure Pool (hence the ‘Creative’ bit of my job title!). The producer side of me makes sure the guys know what they’re doing and hopefully how long it needs doing for. Basically I make lists and poke people with a pointy stick if stuff’s not done. So….sell it to us. Why should gamers buy Pure Pool on Xbox One? Where did the idea first come from and were there any games which provided inspiration? Was it just the next logical step on from VooFoo’s previous titles? Well, we clearly like our pool games here at VooFoo and with Hustle Kings we felt we had taken the genre as far as it could go on the last generation of hardware. But with Sony and Microsoft treating us to new toys, it got us wondering just how much further we could take it. As it turns out, quite a bit! With Pure Pool, we’ve really been able to turn the dial up to 11 in terms of the visuals, the connectedness of the multiplayer and the overall experience – players are in for a real treat! Will there be different versions of pool e.g. 8 ball, 9 ball and different rule variations included? Are we likely to see any game modes apart from pool ie. snooker, bar billiards added in? There will indeed. The initial game supports both 8 and 9 ball pool variants along with Killer and a VooFoo designed mode called Accumulator. In addition, we have 4 very addictive mini-games with full online leaderboard support. Additional modes such as snooker are obviously a distinct possibly but no firm details are decided as yet. Oh, and I forgot to mention the 40+ hour solo career mode. Can you tell us more about the DNA profiling? Will that work in a similar fashion to the Forza Drivatars? I’m not 100% on how Forza did it but I can certainly tell you about our system. Each time a game of pool is played a wide selection of data is stored to the player’s profile. This varies from how hard they tend to hit their shots, if they often use heavy spin on the cue ball, if they go for pots or play safe or even how long they think before taking a shot. This data gets added to the players profile and after just a few games, creates their DNA player. A players DNA player is always online, so if I want to challenge my best mate to a game and he’s not around, I can still challenge an A.I. player that plays with all of the traits of my friend. Our goal has always been to blur the distinction between playing a real player online and playing an AI opponent. The DNA system really does make this a reality. And with that in mind, will there be any pool greats featured in the game? In other words, can we play as or against Efren Reyes and Earl Strickland? You’re one step ahead of us! Yes, that’s another really strong feature of the DNA system. You can basically play against anyone who’s created a DNA player, be it Efren Reyes, Earl Strickland, or for that matter, Jimmy White. The first opportunity to play against true professionals will be the downloadable VooFoo team DNA pack! Kinect is a big deal on Xbox One. Any plans to utilize the full motion or voice tech available? The quick answer is, not as yet. Pure Pool has been designed around an extremely high fidelity control system. While Kinect has great potential (I actually worked closely with the Kinect project for over 5 years), it certainly wouldn’t be a trivial thing to implement well. However, if Pure Pool fans started asking for it, we certainly wouldn’t completely discount the idea. Live multiplayer is present, but how about local sofa matchups? Will that be possible with one, two, or more controllers? Yes, Two-player local play is fully supported. And as for the online multiplayer, will we be able to view other matches that are going on around the world or between friends? There is no facility to watch live games being played. We thought with the game being this much fun to play, why would you ever want to just watch? How about any scope for customisation? Will there be variations of pool cues and tables available to unlock/purchase? Are we able to design our own baize or cues and use them online against our friends? There’s a vast level of customization in the initial game with huge amounts to come. You can choose your baize colour from a large selection along with the logo printed on it, should you want one. Eventually you will be able to have different cues, ball sets and even table construction. One thing we haven’t mentioned to anyone yet is our slightly different approach to cues. There are fourteen cues included in the game but to earn them you must level up through the Pure Pool ranks. Your cue will act like a kind of Pure Pool status symbol. You say there will be a bustling pool hall available. Will there be any interaction with the spectators? Pool is sometimes a rowdy game, will we hear chants go up and the overall atmosphere change before crucial shots? Pure Pool is situated in a rather swanky pool hall so ‘no rowdiness here!’ While there is no interaction with the spectators we set out from the start of the project to make the feel of the environment as believable and immersive as possible. To that end we have our resident band who play music written, mastered and recorded specifically for the game. All of the background characters (of which there are quite a few!) are fully motion captured. 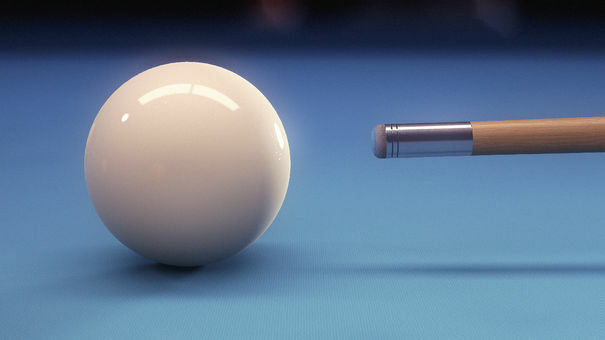 Every sound effect in the game has been recorded from real pool being played. Thinking about it, we’ve pretty much thrown the kitchen sink at it! Will there be any licensed tournaments like The Mosconi Cup available to play? Not initially but there is no reason why such features couldn’t be added at a later date. And finally, Pure Pool looks like a pretty pure experience. Will there be any special abilities to liven things up a bit? How about some crazy extra spin or power shots? You’ve kind of answered your own question. 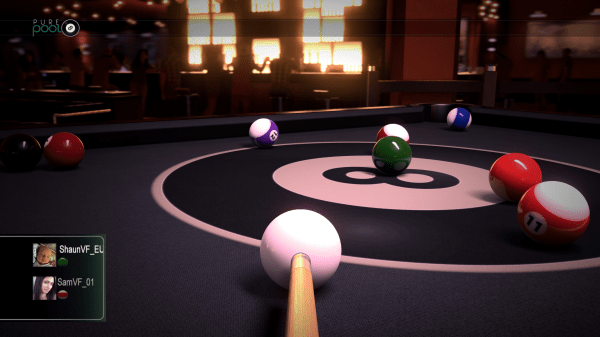 Pure Pool has been created to be the most realistic but at the same time, intuitive and approachable pool game ever made. Because of this we immediately dropped unrealistic features such as power bars and top-down views. What this did do is make the gameplay design ten times harder to get right. We still wanted the game to be approachable for all players, even without these artificial features removed. It was far from easy but we’re fantastically happy with the results. Massive thanks go out to Shaun for agreeing to run this Q&A with us. We’re certainly looking forward to Pure Pool hitting our Xbox One consoles later this year. Keep an eye out for it! Previous articlePowerstar Golf now free to download on Xbox One. New DLC also out now.